Marriage is like a crucible. At least Pope Francis appears to think so. But how is marriage anything like a crucible in which, for example, metal is melted in order to be remolded into a new shape? Actually, Pope Francis compared all of family life to a crucible in his message for the Jan. 1, 2017, World Day of Peace. In an annual message typically devoted to peacemaking and resolving conflicts on the world stage, he included a discussion of family life and marriage. It isn’t that the pope thinks marriages and families are like war zones where battles rage endlessly. What he says, on the contrary, is that life at home constitutes a crucible in which people learn skills that a peaceful world requires, skills of caring for others and fostering the reconciliations inevitably needed in human relations. 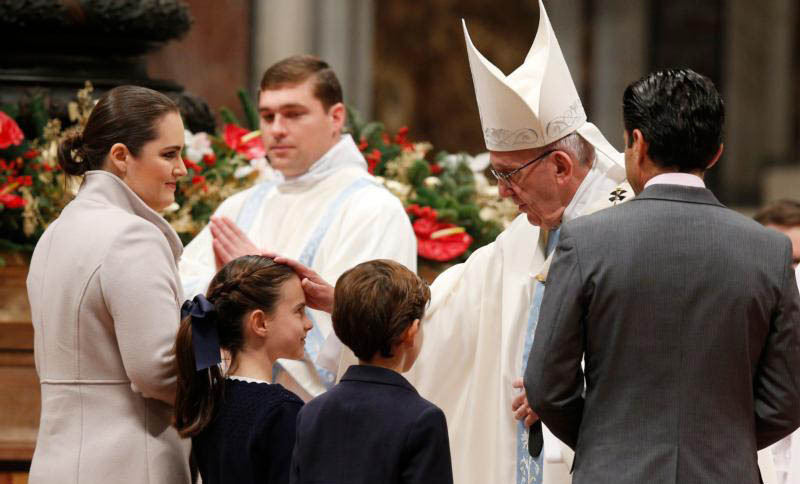 “The family is the indispensable crucible in which spouses, parents and children … learn to communicate and to show generous concern for one another, and in which frictions and even conflicts have to be resolved not by force but by dialogue, respect, concern for the good of the other,” Pope Francis wrote. How many couples think on the day of their wedding that their very life together will possess the qualities of a crucible and thus contribute to reshaping them in unimagined ways? Life for them, as for everyone, will prove nothing short of surprising. In fact, many couples might not welcome this notion, particularly if “crucible” suggests to them that their life together at times will undergo significant stress or that their relationship still needs to strengthen. On their wedding day, a couple’s love seems so good to them, and their relationship in so many ways is just what they want. Why would they envision their marriage as a journey encompassing change and a refinement of their love? It is nearly impossible to define married love in a precise way, since each couple and family is unique. But that does not keep Pope Francis from speaking confidently about important steps and actions that strengthen a couple’s love. So love does not view the other person “as a threat” or as someone to compete against. Those who put love into practice “are capable of speaking words of comfort, strength, consolation and encouragement,” the pope affirms. Their home is a place of understanding and support. One thing Pope Francis hopes couples will acknowledge is that “marriage is not something that happens once and for all.” In “The Joy of Love,” he insists that helping couples realize this is one of the great challenges of marriage preparation programs. Now the couple’s gaze “has to be directed to the future that, with the help of God’s grace, they are daily called to build.” Other families and the church’s pastoral ministry can help a couple’s love “to grow and mature,” he advises. Years after their wedding, when a couple looks back upon their life together, they can clearly see that who and what they were in the beginning has undergone a transformation, though they barely felt they were growing, maturing and changing as it happened. Time, joined with all sorts of experiences and developments, refashions a couple, so to speak. Moments that tax their strengths and other moments that are cause for celebration all fulfill dynamic roles in the crucible of their marriage.